Whenever the August winds begin to howl, it reminds me that good things are coming! Of course, I’m talking about the change of season and that summer is on the way! With every new season, I can’t help but get a little excited. For me, a new season always starts with changing up my fragrances; where I look forward to welcoming back fresh, fruity and light aromas that remind me of beautiful beaches, open blue skies and an endless summer. These wanderlusting moments are exactly what the Hollister girls and guys from California live for! From sunrise to sunset, they’re all about collecting memories with friends, hitting the beach, and driving down the coast, with the top down and the wind in their hair. So what better way to get that summer feeling than with Hollister Co‘s new WAVE fragrances that rekindle memories of Cali summers, and hearts filled with excitement and possibilities. To get your spirits in the mood for summer, both the Hollister WAVE For Her and Hollister WAVE for Him fragrances will hit the South African market this September, just in time for the new season! Hollister WAVE For Her is a light fragrance, perfectly suited to spark the youthful spontaneity of a carefree summer! The scent greets you with a citrusey, fruity blend of notes, combined with an icy sorbet kick. As it develops, wild Orchid, Sunset Hibiscus and California Poppy bring about the feeling of fun and excitement, while the dry down notes of sundrenched creamy Sandalwood & Amber Crystals illustrate the magnificent colors of a California sunset. While I do like summery scents, I’m not the biggest fan of very sweet fragrances, so I tend to avoid notes that are too fruity. I wasn’t sure if I’d like Hollister WAVE for her, but I was pleasantly surprised when I sniffed it. I think it’s the ideal blend of notes that keep the overall experience of the fragrance light, carefree and spontaneous without being overly sticky-sweet. It’s a youthful scent, but a lot more sophisticated than your usual young scents, so I think it will resonate well with both young girls as well as more mature ladies. The smell definitely brings back summer memories and a wonderful burst of summer excitement. In terms of staying power, it’s pretty good since it comes only in an EDP (Eau de Parfum) and even better, at a really affordable price too! 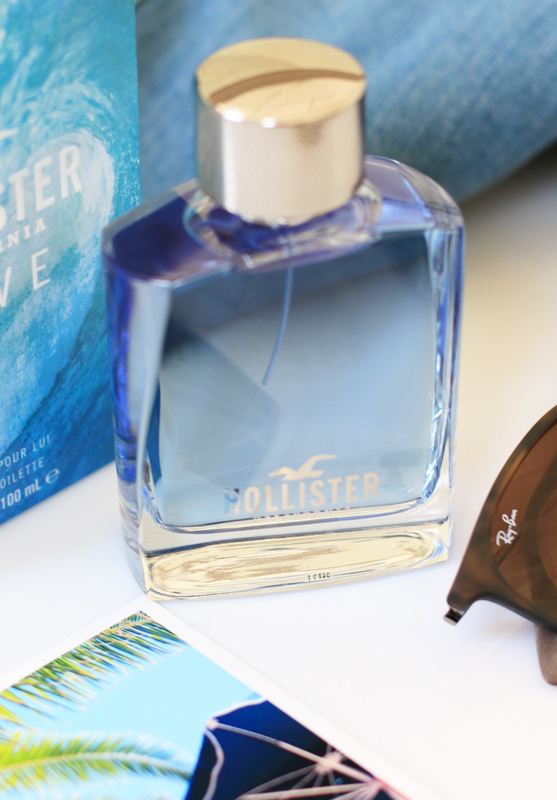 Then, for the guys, Hollister WAVE For Him is an energetic fragrance with a laid back attitude. A fragrance which perfectly sums up the Hollister Dude; with his long, bleach-blonde hair, washboard abs and a surfboard under his arm. It opens with top notes of Bamboo Leaves, crisp Yuzu and fresh Grapefruit, giving it an energetic, yet masculine introduction. 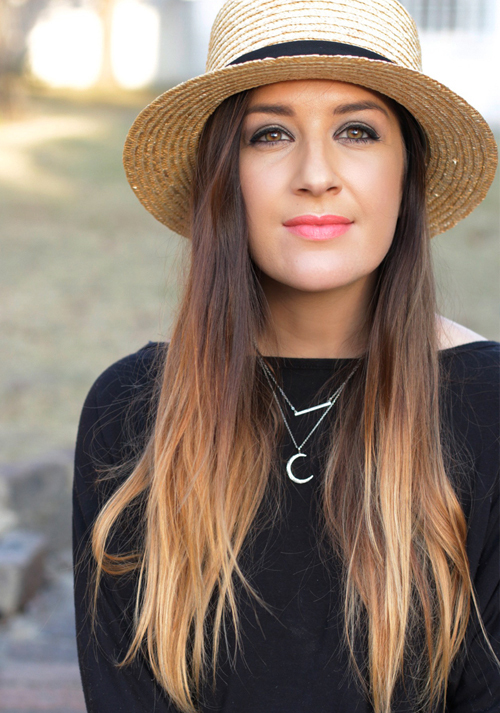 At the heart lies Cyprus Wood, Lavender and Neroli, which recreate the scent of the rustic Californian terrain, and at the base, Rainforest Tonka Bean, Musk and salty Driftwood give it a nice warmth. For a guy’s scent it’s cool and fresh, and while it doesn’t have that addictive-ness that I feel with so many male fragrances, it is still nice and pleasant without being overly fussy. I would definitely say that this fragrance would be more appealing to younger guys in the early twenties. Both Hollister WAVE For Her and Hollister WAVE For Him will be available from the 1st September 2016 from Clicks, Edgars, Red Square, Stuttafords and Truworths stores. Hollister WAVE For Her comes in three size variants, all three of which are Eau de Parfum and available in 30ml’s for R495, 50ml’s for R695 or 100ml’s for R795. Hollister WAVE For Him comes in two size variants, both of which are Eau de Toilette’s and available in 50ml’s for R595 or 100ml’s for R795. Here’s to the start of an endless summer!